Planning a wedding with a theme? For instance: festival, bohemian, summer chique. Or just a big fan of pink flowers? 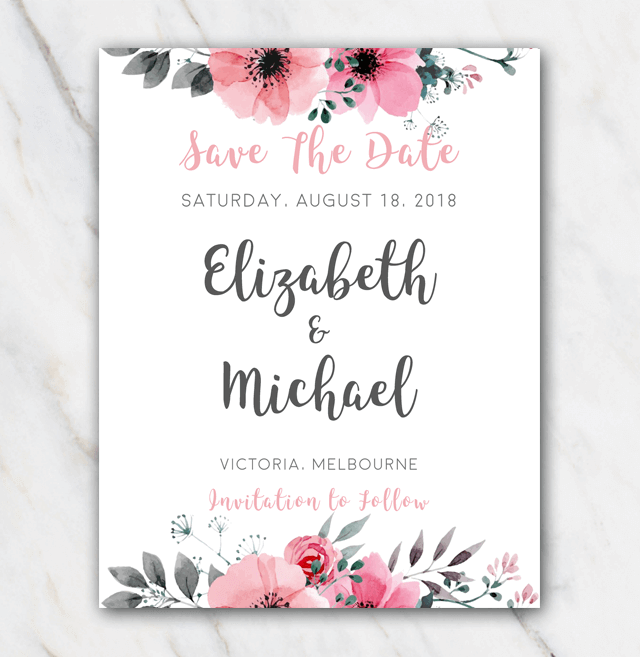 Check out this lovely wedding save-the-date template. Just click on the 'free download' button, unpack the zip-file, install the fonts and you are all good to go. Not really a flowery type of bride? No worries, just check out the overview page for my other wedding save-the-date templates.